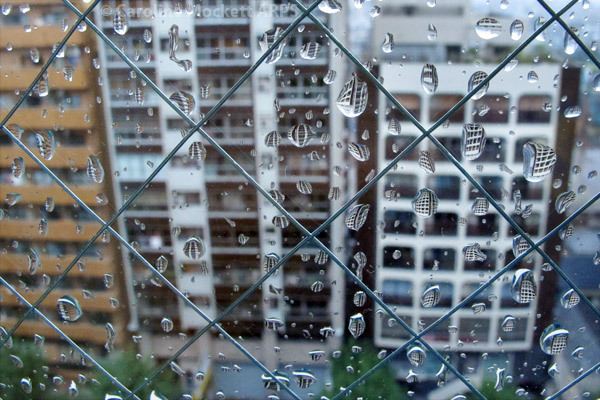 Notes: Another miserably wet day. The sun managed to poke its head between the clouds briefly, but I knew I wouldn’t be able to get to anywhere particularly picturesque before it disappeared again. So a quick view from the window is the best I could do. Notes: Another wet and windy day today, so I decided to stay snug in my room, put my aching feet up and sort some of the hundreds of photos I’ve taken during my trip. This was the view from my window mid-morning. Read more about my stay. Notes: It was very warm this evening, so I took a wander around Belgravia for a few pictures and a couple of geocaches on the way back to the tube. 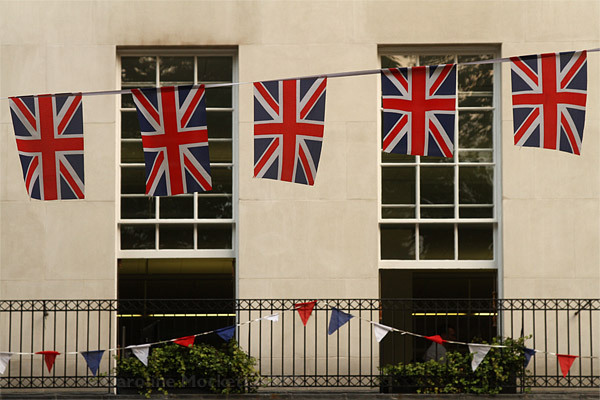 The flags and bunting are still up in Fitzroy Square from the Jubilee – and the old Georgian windows have been thrown open to let in some cool air. Notes: Spent the day at BarCamp Slough (Berkshire) geeking out with mates. 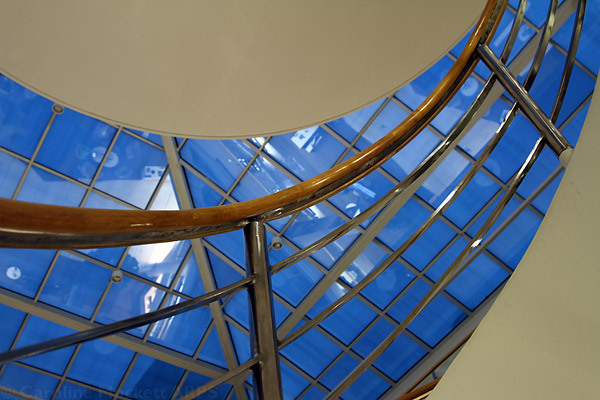 We were in O2’s offices and this is the stairway up through the central atrium. I liked the patterns. Notes: Not many pictures today. 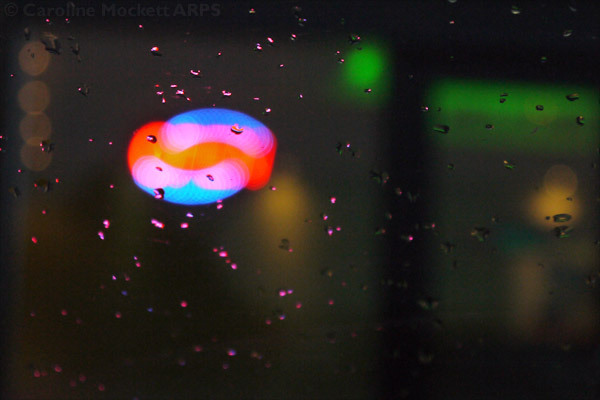 This is the corner shop’s neon “Open” sign through the car window, with rain. One for Treasure Hunt Theme #56 – The Corner Shop . 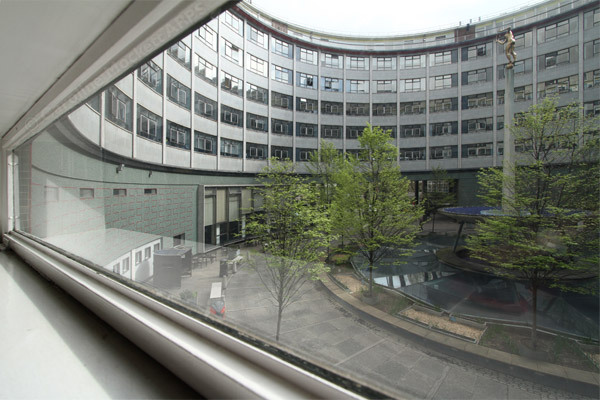 Notes: A familiar view into the central donut from the first floor corridor, where I worked in the central studios for many a year. 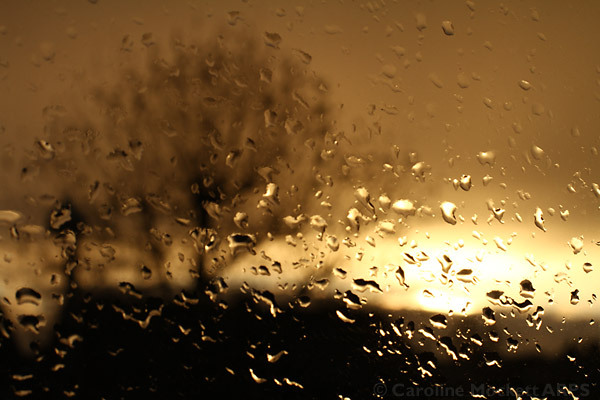 Title: What Light Through Yonder Window Breaks? 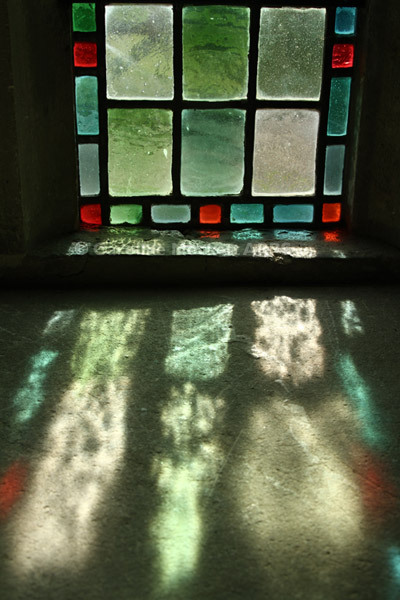 Notes: I found some sunlight infiltrating the church at Sandon this afternoon. I thought this would make a great find for Treasure Hunt Theme #27 – Natural Light.